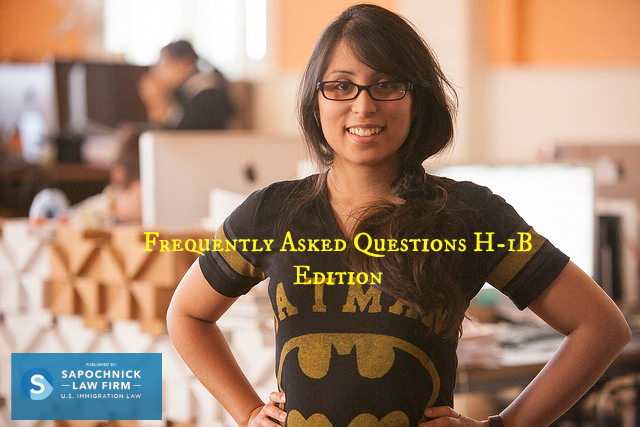 We do not know for certain when the randomized lottery will occur for the upcoming H-1B visa season. Last H-1B season, USCIS conducted the randomized computer-generated lottery on April 9, 2016. Individuals holding an advanced degree from the United States are exempted from the general 65,000 visa cap and have two shots at being selected in the lottery. First, USCIS will begin the selection process for the 20,000 available visas that will count toward the advanced degree exemption (masters cap). Then, unselected advanced degree petitions that were not selected in the first round, are placed in the lottery toward the general 65,000 visa cap and thus are given a second chance of being selected. What are my chances of being selected in fiscal year 2018? We estimate roughly a 70% chance of selection for the advanced degree exemption (U.S. masters or higher) and a 40% chance of selection for the general U.S. bachelor’s degree or equivalent cap. Applicants who receive a request for evidence must promptly respond to the request for evidence by the deadline specified with the necessary documentation. If you do not receive a request for evidence and are approved, you may begin employment on October 1st of fiscal year 2018. If you reside abroad, you must make an appointment at the U.S. consulate or embassy nearest you to obtain your H-1B visa and stamp in your passport. If you reside in the United States, you must obtain a stamp at your nearest U.S. consulate or embassy to travel abroad. How soon will I be notified of selection? H-1B petitions that are filed with regular processing will not receive an official Notice of Action of selection (also known as receipt notice) until late April through the month of May, however employers may know more quickly whether your petition has been selected by monitoring their bank accounts closely during the weeks following the lottery. Petitions filed with premium processing will be notified of selection by electronic mail throughout the month of April. Last H-1B season, we began to receive selection emails from the California Service Center on April 14th for the advanced degree exemption. Premium processing is a service provided by USCIS for certain employment petitions, including H-1B petitions, that guarantees 15-calendar day processing to petitioners who use the service, otherwise USCIS promises to refund the premium processing service fee. In other words, premium processing provides the benefit of expedited processing. Premium processing does not increase your odds of selection, and an applicant may upgrade to premium processing any time after being selected. To read more about the H-1B visa please click here to read our H-1B guide and click here to read our preparation guide.